This weekend we went to our annual Labor Day Camp with family and friends. Every year we have a theme night with costumes and related food. 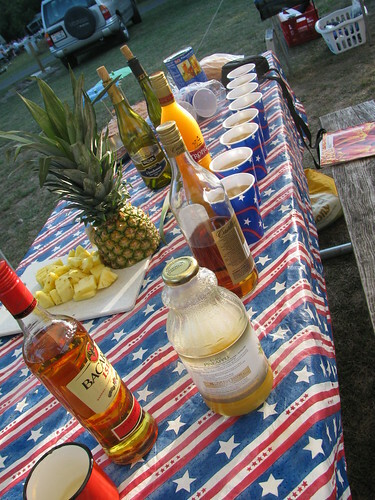 This year our friend Leonard went all out on the theme, Hawaii. 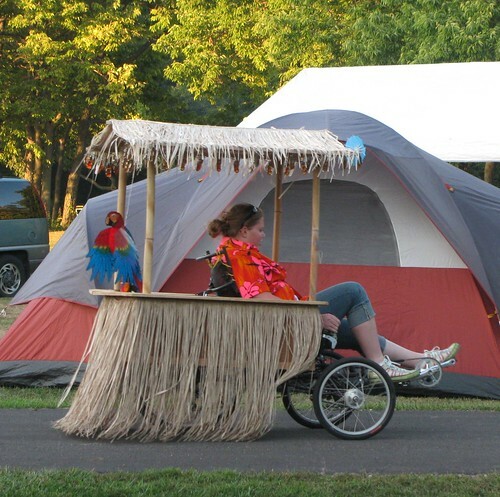 I could write about the tiki hut trike, our chant to counter the hellfire and brimstone preaching group across the way, the 25 mile bike tour including a confederate prisoner of war camp, or the bald eagles we saw fly over East Harbor State Park many times. But since this is largely a gardening and eating blog, I will focus on the food. We started our drive early Saturday morning. 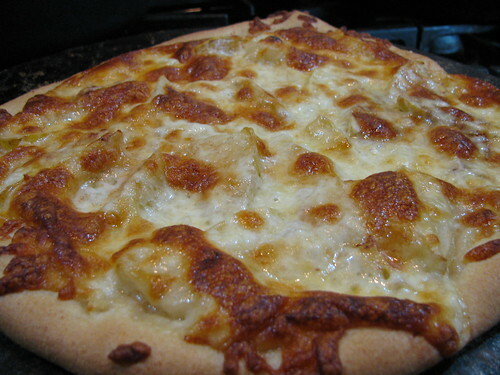 With some extra pizza dough as inspiration on Friday night, I made a pear and mozzarella pie to take on the road. I chilled the cooked pie overnight in the fridge. It was filling, yummy, and easy to eat in the car. 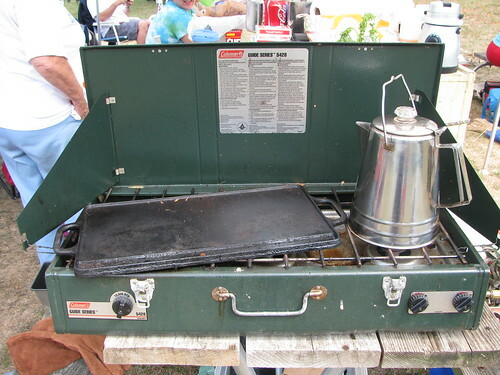 The camp stove saw heavy use in the mornings at camp. Breakfasts are my favorite because someone else (usually my dad or grandfather) always does the cooking! Being that I have food and only food on my mind early in the morning, I took no pictures of our actual breakfasts. It is harvest time here in Ohio, so the food table was laden with seasonal fruits and vegetables. 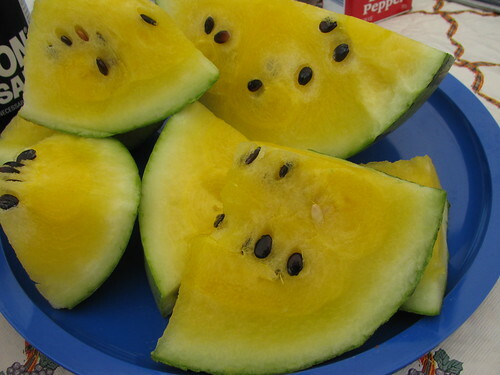 My grandmother brought some delicious yellow melon pictured below. Camp lunches for us are simple sandwiches, fruits and veggies, and chips. For the Hawaiian themed meal, Alex braised a pork shoulder with pineapple and cinnamon. Other theme dishes included mai tais, beanie weanies with cocktail umbrellas, and a poi substitute: mashed potatoes with a beet adding color. 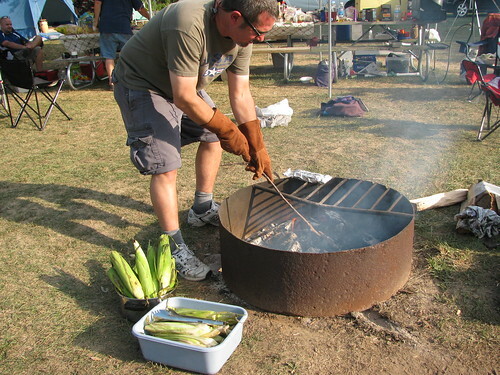 The next night we had grilled meats, salads, fork mashed guacamole and roasted corn. 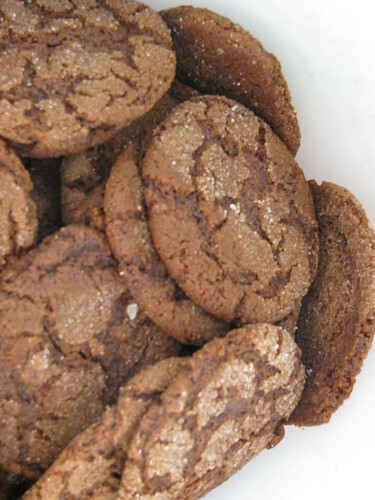 Grandma brought her famous gingersnap cookies, my favorite of the snacks. 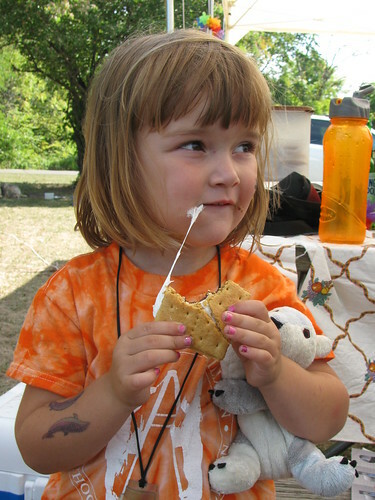 And there were s'mores, of course. 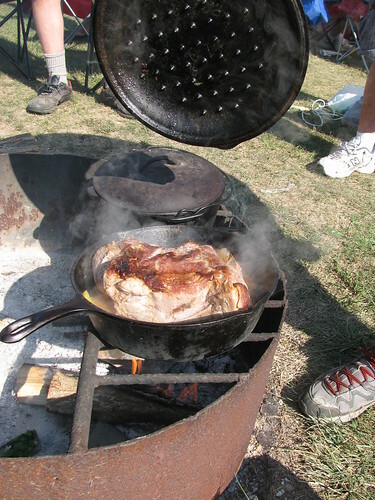 What do you eat when you are car camping?